Communities will always need to create reliable and enforceable agreements with each other. In many countries the ability to create legally binding agreements is not available to average citizens. Legal services are often unaffordable and opaque, or service providers are corrupt. Legal services are in need of disruption. Bitnation (who I consult for) intends to address this problem by empowering people to self-organise and self-govern. We are building a platform called Pangea which allows users to create, notarise and arbitrate contracts according to a jurisdiction which each party joins voluntarily, irrespective of their geographical location. Pangea is a smart phone app that looks and feels like a chat app, the back-end (called Panthalassa) is an encrypted mesh network hooked up to the Ethereum blockchain. On Pangea, people are incentivised to be good citizens by receiving rewards for doing good, rather than being coerced by the threat of punishment for bad behaviour. This platform would fulfil a vast and unmet need, particularly in countries whose legal systems function poorly. On Pangea, a user voluntarily chooses which jurisdiction to be a part of. Contracts are then notarised, executed and arbitrated according to that jurisdiction. 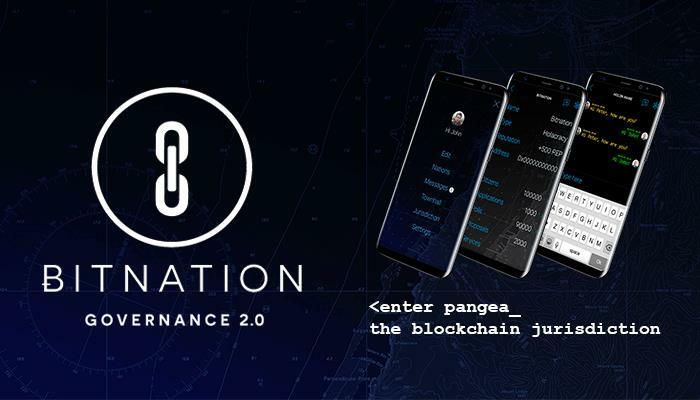 Users voluntarily join a decentralised borderless voluntary nation (DBVN) and will receive tokens (Pangea Arbitration Tokens) as a reward for good behaviour. The tokens will be tradable and will be used as payment on Pangea for notarisation and arbitration services. Societies cannot escape their need to use currency as stores of value. They also cannot escape their need to create reliable and enforceable agreements (contracts) with each other. Generating Bitcoin through proof of work occurs because individuals believe that Bitcoin will be continuously used — that it will meet an ongoing need to transact using a decentralised and disintermediated method. Generating PAT by being a good citizen will occur because individuals believe that Pangea will be continuously used — that it will meet an ongoing need to create enforceable agreements using a voluntary and geographically agnostic (and decentralised) method. There is much still to say about the Pangea platform and the mechanisms which will make it function. Please give feedback and ask questions in the comments. To find out more, visit the website.